Reuters"We need to ensure a regulatory framework that enables Net neutrality protections and the ability to work on new models for access," Mr. Zuckerberg said. Srinivasan RamaniFacebook is increasingly becoming not just a social media platform for interaction and discussion of issues related to the public sphere, but also a platform for traditional media to 'break' news. There is the worry in India though that social media is relatively unfiltered as a medium and is used by anti-social elements to spread rumours that could create a law and order issue. The government in India complains that the response time of social media companies is not good enough to prevent the spread of false information and that’s why they have to take steps such as shutting down the Internet to halt these. How would you respond to this reasoning from law enforcement agencies? Although the US lost out in the MMRCA race, the consideration of life-cycle costs has tilted the balance in favour of US products when it comes to the C-17 Globemaster III, the C-130J Super Hercules and the AH-64D Apache Longbow. Similarly, French technology has scored over Russian expertise in the regime of aerial tankers. On the other hand, the progressions in the Mi-17 family and the advantage of maintaining continuity of fleet type, as also the fact that there are no comparable Western helicopters, have kept the IAF’s interest in that lineage intact. Thus, we have an interesting mix of Russian and Western technology in the IAF’s helicopter stream. Those in the IAF who are privy to life-cycle costs and reliability factors privately acknowledge that Western technologies are more appealing in the long run. An exploration of what the Andaman and Nicobar Islands mean to India--as a nation and as a state. This article suggests that the manner in which it has been visualised as a peg in the country's geopolitical strategy reduces the possibilities its location and history provide to India. It further argues that it would be self-defeating to view these islands merely from a geopolitical angle and not factor in the many histories of the people who inhabit it at present. Itty Abraham (itty123@gmail.com) is a scholar of international relations and nuclear histories based at the National University of Singapore. I have been searching for the origin of the term “unsinkable aircraft carrier” for some time now without much success. The term appears to be of World War II vintage, probably of American origin; but I have yet to identify the original usage or author. Etymology aside, the phrase “unsinkable aircraft carrier” is now associated with the Andaman and Nicobar Islands (ANI), the 750-km long archipelago that is a Union Territory of India, but whose northern tip lies much closer to Myanmar than Kolkata and whose southernmost point is just a few score kilometres from Indonesia. It was here, between 1942 and 1945, that the Japanese set up an occupation government, and planned their invasion of India and the defence of their Southeast Asian territories. In his Concise History of Southeast Asia (1961), the historian Nicholas Tarling identifies ANI as part of Southeast Asia, albeit without explanation. And, as the 2004 tsunami made clear in an entirely different way, the environmental challenges faced by the ANI have much more in common with Phuket and Aceh than Vizag or Kozhikode. Go a step further and it is not unreasonable to propose that the ANI are Southeast Asian lands that happen to belong to India. Understanding the region from the Indus River to the Syrian-Turkish border is not always easy. Convoluted by thousands of years of history, including boasting the world’s first great power – the Persian Empire – and running through Shia and Sunni regions in what was once partly Buddhist, partly Zoroastrian, influenced strongly by the Aryan Vedic cult, intersecting with the Jewish faith, and spanning the ancient Indus and Babylonian civilizations – this region is now massively messed up instead of being at the forefront of advancing civilization through its wealth of accumulated wisdom. To add to its strategic importance, the region has strong deposits of mineral oil that have the potential to upset the world economy, but which is accompanied by acerbic and fundamental versions of aggressive Islamists that make reconciliation with the people in this region quite difficult. 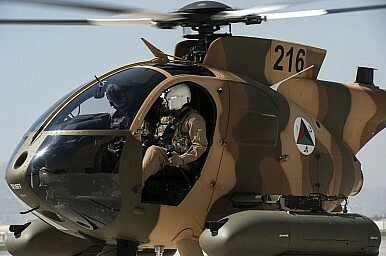 Afghanistan’s Newest Attack Helicopter a ‘Total Mess’? 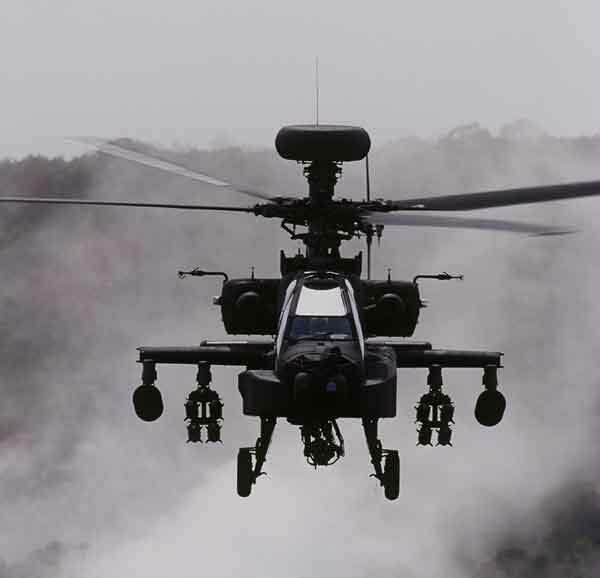 Afghanistan’s most decorated pilot, Colonel Qalandar Shah Qalandari, recently questioned the usefulness of a new fleet of American-made light attack helicopter gunships, according to an interview published in the New York Times. Among other things, Colonel Qalandari said that the new helicopters cannot reach areas where Taliban insurgents are normally operating, since the helicopter cannot cross the mountain ranges that surround Kabul, and that the aircraft is also dangerous to operate. One of the most important cities in Northern Afghanistan’s, Kunduz has been under siege by the Taliban since this afternoon. For the first time in 14 years, a major Afghan city has fallen into the hands of the Islamist insurgent group, bringing new uncertainties to the war-torn nation. The Diplomat’s Sanjay Kumar spoke to Ehsan, an Afghan government official in Kunduz, who due to security reasons has chosen not to reveal his real name and occupation. He describes the situation in the city. 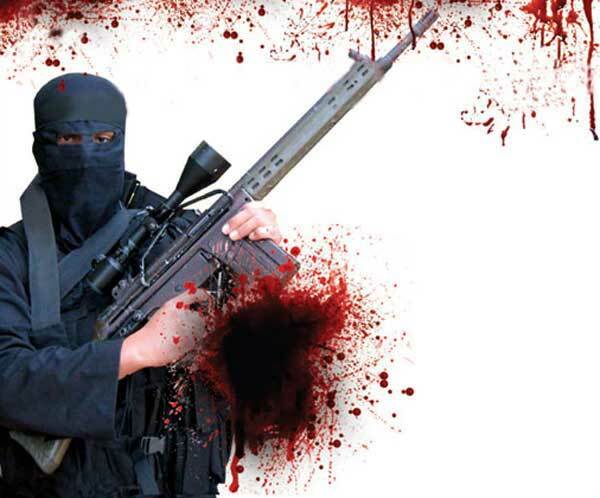 The Diplomat: How serious is the situation in Kunduz? Ehsan: The situation is very serious. Everyone who can be considered allied to the government, be it international NGO workers, government servants, army personnel, and police are trapped inside the city. The whole population is trapped. 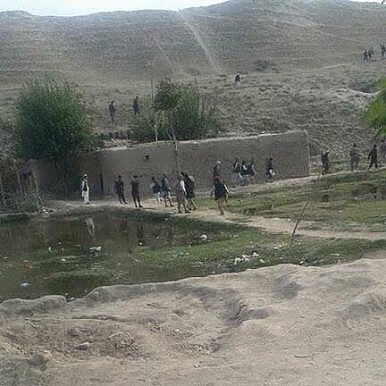 The Taliban is busy looting the government buildings, but so far they have not harmed the local people. They are mixing with local people and trying to take them into confidence. The insurgents are hiding in people’s houses. Is the World Paying Attention to Afghanistan Anymore? 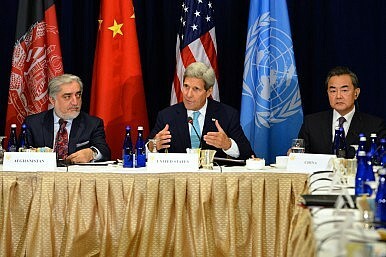 As world leaders flocked to New York City over the weekend to participate in the annual UN General Assembly debate this week, the United States, China, and Afghanistan co-chaired a high-level event on Afghanistan. A senior state department official, giving abackground briefing to the media after the event, was asked if it was really just a “let’s pat ourselves on the back kind of meeting.” He replied that it wasn’t, saying in a somewhat convoluted fashion that the parties gathered were still paying attention to Afghanistan. Remarks from Afghan Foreign Minister Salahuddin Rabbani, Afghan Chief Executive Abdullah Abdullah, U.S. Secretary of State John Kerry and Chinese Foreign Minister Wang Yi were public, but journalists were not present for statements delivered by Pakistani Foreign Minister Sartaj Aziz, Federica Mogherini, the EU high representative for foreign affairs and security policy, as well as statements from the ministers of foreign affairs of Turkey, Italy, Saudi Arabia, Islamic Republic of Iran, Australia, Kazakhstan, and Norway. KABUL, Afghanistan — After months of besieging the northern Afghan provincial capital of Kunduz, Taliban fighters took over the city on Monday just hours after advancing, officials said, as government security forces fully retreated to the city’s outlying airport. The Taliban victory, coming suddenly after what had appeared to be a stalemate through the summer, gave the insurgents a military and political prize — the capture of a major Afghan city — that has eluded them since 2001. And it presented the government of President Ashraf Ghani, which has been alarmed about insurgent advances in the surrounding province for a year, with a demoralizing setback less than a year after the formal end of the NATO combat mission in Afghanistan. Afghan officials vowed that a counterattack was coming, as commando forces were said to be flowing north to Kunduz. But by Monday night, only dozens of fighters were reported to have linked up with security forces who had gathered at the airport. The white Taliban flag was flying over several public areas of the city, residents said, and by nightfall the insurgents had set fire to police facilities and were looting jewelry shops. As one of the worst cases of human tragedy since the Holocaust, in which a particular ethnic and religious group was targeted for their existence, the plight of the Rohingya can no longer be ignored by the governments of Southeast Asia. Several steps can be taken to address the issues and past successes show that there may be light at the end of the tunnel. The discovery of 26 bodies belonging to Rohingya and Bangladeshi migrants in a camp on the Thai-Malaysia border in early May marked the start of the current round of Southeast Asia’s refugee crisis. As the Thai authorities continued their crack down on smuggling gangs operating trafficking rings from Myanmar to Malaysia, the number of camps, graves and bodies discovered only increased. These discoveries were efforts on the part of the Thai government to avoid a downgrade in an influential U.S. State Department annual report that ranks countries on their anti-trafficking efforts and in an attempt to shut down the smuggling route from Myanmar to Malaysia. Beijing may be playing coy over whether it considers the South China Sea part of its sovereign territory, but the country’s actions indicate that its preferred outcome is Chinese sovereignty within the “nine-dash line.” Meanwhile, the Obama Administration’s vacillation over how to challenge Beijing’s assertiveness in the region undermines U.S. policy to shape China’s rise in positive directions. The resulting dispute between the Pentagon and the White House over enforcing freedom of navigation has led to a situation—as Assistant Secretary of Defense David Shear testified to Congress—where the U.S. Navy and Air Force have not challenged the territoriality of China’s artificial islands since 2012. Washington’s unwillingness to enforce the rules it espouses undermines a core tenet of U.S. policy toward China. If the United States will not enforce the policy it espouses, then the time is ripe to reconsider the assumptions and options for U.S. policy towards China. Beijing’s actions in the South China Sea forces the United States to go beyond consideration of American interests in the region towards actively defending those interests. Chinese President Xi Jinping wrapped up his 2015 visit to the United States with his first-ever address before the United Nations General Assembly on Monday. While his speech was heavy on the usual platitudes of win-win cooperation and mutual respect, Xi also announced a raft of new commitments to the United Nations and the developing world. 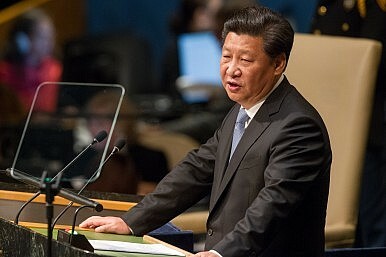 Xi’s speech contained three major announcements: a donation of $1 billion dollars over the next 10 years to create a peace and development fund with the United Nations; the establishment of a new standby peacekeeping force of 8,000 troops; and a pledge to provide military assistance worth $100 million to the African Union for peacekeeping missions over the next five years. Japanese Prime Minister Shinzo Abe and South Korean President Park Geun-hye met on the sidelines of the 70th United Nations General Assembly in New York on Sunday, signaling an improvement in ties ahead of a Northeast Asian trilateral summit between the two of them and Chinese Premier Li Keqiang (or possibly even Chinese President Xi Jinping). Though the meeting wasn’t formal, South Korean presidential spokesperson Min Kyung-wook noted that Park spoke with Abe during a UN working luncheon. 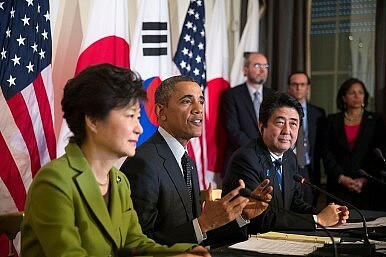 Park reportedly told Abe she expected a meeting with him in Seoul. If the next U.S. president had a first 100-days plan upon assuming office, what key priorities for U.S. Asia and China policy should be in that plan? CAN THE LIBYANS CLOSE A PEACE DEAL? On Sept. 16, the Department of State warned U.S. citizens against travelling to Libya and reiterated that all Americans in the country should leave immediately. The development was likely a reaction to intelligence indicating an imminent attack on the few foreign nationals remaining in the country. Yet there has been relatively little focus on recent political developments inside Libya, despite the prominence that the September 2012 Benghazi attack continues to have in the U.S. media. Nonetheless, the instability in the country has been a major factor in Europe’s migrant crisis, has led to the spread of the Islamic State into Libya’s central Sirte area, and threatens to further destabilize the wider North Africa region. Clearly the country’s post-revolutionary trajectory remains important to both regional and European stability, not to mention the facts that the United States, United Kingdom, and France supported the revolution against the Gaddafi regime in 2011 and that Libya has vast oil reserves. 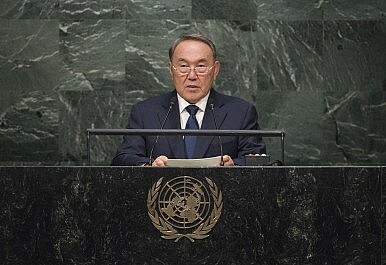 Kazakhstan has been on an extended campaign to break into the circles of global power, and while this goal was on display in Kazakh President Nursultan Nazarbayev’s address at the UN General Assembly debate today, it was wrapped within a rather dull speech that kept back from controversy. Kazakhstan is seeking a non-permanent seat on the UN Security Council (you can read an op-ed on the bid from Kazakh Foreign Minister Idrissov here), and Nazarbayev peppered his speech with ideas for what the future of the UN should look like. The last time Nazarbayev addressed the UN was in 2011. In the intervening years, Kazakhstan’s foreign ministers have delivered remarks at the general debate. The Russian leader just told the UN that state sponsors of terrorism are the West’s only partners for fighting terrorism. One year ago, on September 5, 2014, a group of Russian agents, armed with smoke grenades, radio jammers, and guns, crossed eight kilometers into NATO territory, subdued a NATO counterintelligence agent and kidnapped him across the border. Eston Kohver (married, father of four) was then tried in Moscow as a spy and, despite inadequate legal representation, he was given 15 years in prison. On Saturday, Kohver was released back to Estonia, exchanged for a real Russian spy, Aleksei Dressen. Those who follow news on Saturdays applauded Kohver’s return to his family, but one has to wonder whether he was kidnapped just to make this exchange possible. One also has to wonder if Kohver’s release was cynically timed with Russian President Vladimir Putin’s visit to the United Nations General Assembly. The baton was officially transferred Monday to the world’s new sole superpower — and Vladimir Putin willingly picked it up. President Obama (remember him?) embraced the ideals espoused by the United Nations’ founders 70 years ago: Diplomacy and “international order” will win over time, while might and force will lose. Putin, too, appealed to UN laws (as he sees them), but he also used his speech to announce the formation of a “broad international coalition” to fight ISIS in Syria and Iraq. “Similar to the anti-Hitler coalition, it could unite a broad range of forces” to fight “those who, just like the Nazis, sow evil and hatred of human kind,” he said. And who’d lead this new coalition? Hint: Moscow has always celebrated the allies’ World War II victory as a Russian-led fete. Q. Is the cease-fire holding? U.S.-Russia Relations: What Would Henry Kissinger Do? Over a public career that spans six decades, and now in his 93rd year, Henry Kissinger has been cautious about offering presidents advice in public. But the outline of what he would say if Obama asked him about Russia is clear in the interview he gave to Jacob Heilbrunn in The National Interest’s latest issue. Drawing on decades of experience with successive Russian leaders during the Cold War, as well as many hours of quality face time with Putin, Kissinger’s views about how the United States should manage its relationship with Russia could hardly differ more from the bipartisan Washington consensus and Obama administration policy. Get Ready, NATO: Could Russia Build Lethal Combat Robots? The defending soldiers are in a fortified position on elevated ground or a reverse slope. They’ve arranged machine guns and anti-tank weapons to kill anything that comes into view. They’ve dug into the ground to help them survive the initial artillery barrage. To bolster their defenses even more, they’ve covered the area in front of them with mines. If the Russian assault force was human, then it’d probably be too dangerous to go ahead with the attack. But it’s not. Over the horizon comes a mix of mostly-robotic vehicles — and the NATO troops don’t have much of a chance. That’s science fiction, but a future scenario like that one recently appeared in the pages of Russian defense trade newspaper Military-Industrial Courier. It’s an interesting idea, and the article is notable for its realistic depiction of combat robots used on a relatively large scale. But the concept has a few problems. Russia's Lethal Su-35 Fighter vs. Eurofighter: Who Wins? With heightened tensions in Europe over Russia’s actions Ukraine, NATO countries have stepped up their air patrols over the Baltic states of Estonia, Latvia and Lithuania. While the U.S. Air Force often deploys aircraft to helppolice the air space over those former Soviet republics, often the task falls to European air arms to keep Moscow in check. For many of those European forces, including Great Britain, Germany, Italy and Spain, their aircraft of choice is the Eurofighter Typhoon. Developed originally as a purebred air superiority fighter, the Typhoon excels in the air-to-air arena. In the unlikely event of a conflict, the Eurofighter is likely able to more than hold its own against late generation Flanker variants like the Sukhoi Su-35S. While the Russian and European machines each have their advantages, the jets are very comparable overall. After two decades of neglect, the Russian air force is enjoying a petrodollar-funded renaissance. In 2010, the air force and naval aviation bought just 19 new fixed-wing airplanes. The number of new planes swelled to 24 in 2011, 35 in 2012, 51 a year later and a whopping 101 in 2014. This year the Kremlin expects to acquire 91 new fixed-wing aircraft. But for all this modernization, there’s one big thing the Russian air force still can’t do. Nearly 30 years after the United States and its closest allies ushered in an era of precision guided munitions, wherein almost every combat plane packs laser-, radar-, infrared- or GPS-guided bombs and missiles, Russia still lags behind in the development, acquisition and employment of such “smart” air-to-ground munitions — especially long-range ones. This is a story of a battle that was, and a war that wasn't. Between 1938 and 1939, the Soviet Union and the Japanese Empire fought a series of clashes along the border between Japanese-occupied Manchuria, Russian-controlled Mongolia and the Siberian frontier near Russia's vital Pacific port of Vladivostok. The prizes were the rich resources of Manchuria, and beyond that, which of the two would be the dominant power in Northeast Asia. But even more important was the ultimate outcome of the Manchurian battles, which culminated in Pearl Harbor and the Pacific War between Japan and the United States. President Obama has agreed to meet with Russian president Vladimir Putin during the UN General Assembly meeting. Against the backdrop of a forward Russian strategy in Syria and Ukraine, and the uncertainty about Russian objectives in both theaters, the summit could be a success if it leads to a conceptual agreement for a balanced settlement to one or both of these conflicts. Failure should lead to a significant adjustment in U.S. strategy in both conflicts to increase pressure on Russia. Russian actions in Ukraine and Syria pose a serious challenge to the United States and its allies. In Ukraine, Moscow’s campaign has resurrected the threat to Europe from the East and has called into question Europe’s commitment to its allies and partners. Russia’s actions in Syria, meanwhile, have contributed to bringing home to Europe a conflict that it sought at all costs to avoid. With awave of refugees descending on the continent, a distant humanitarian crisis has become a domestic security threat touching on fundamental questions about European identity. Challenges from the East and South are exacerbating Europeans’ dissatisfaction with the project of European integration. A fractured Europe furthers Russian goals by denying the United States a strong, reliable partner in the world. Almost a year after it was signed by both governments, the controversial “refugee deal” between Cambodia and Australia resurfaced in late August when Reuters published an article reporting that Cambodia did not intend to accept any more refugees from Nauru. The article quoted a spokesperson for the Ministry of Interior saying that Cambodia could only accept “a limited amount” of refugees coming from Nauru. In fact, that news should hardly be surprising. When both governments began to negotiate back in 2014, the Cambodian government was clear: Cambodia could only accept a “limited number of refugees.” According to the agreement signed last September, “[t]he number of Refugees settled, and the timing of their arrival into Cambodia under this MOU, will be subject to the consent of the Kingdom of Cambodia.” And although the Cambodian government backtracked from its first comment, it maintains that the fewer refugees it takes the better. The United States criticised an EU judicial opinion on Monday that called into question the Safe Harbour transatlantic data privacy system and Washington urged European judges to reach a different conclusion. The U.S. mission to the European Union said an opinion last week by an adviser to the EU’s top court, backing an Austrian who alleged Facebook passed private data to U.S. security services, “rests on numerous inaccurate assertions about intelligence practices of the United States”. The original case, brought in Ireland where Facebook and many U.S. tech firms have European headquarters, was partly based on revelations in 2013 by contractor Edward Snowden about U.S. intelligence agencies’ spying on global communications. In a statement, the U.S. mission said it was concerned about damage to trade and privacy in Europe and the United States and so urged the Court of Justice, which usually follows its advocate general’s advice, to reach different conclusions when it finally rules on the case. Back in mid-2014 Russia offered a prize of $111,000 for whoever could deliver, by August 20th 2014, software that would allow Russian security services to identify people on the Internet using Tor (The Onion Router), a system that enables users to access the Internet anonymously. On August 22nd Russia announced that an unnamed Russian contractor, with a top security clearance, had received the $111,000 prize. No other details were provided at the time. A year later is was revealed that the winner of the Tor prize is now spending even more on lawyers to try and get out of the contract to crack Tor’s security. It seems the winners found that their theoretical solution was too difficult to implement effectively. In part this was because the worldwide community of programmers and software engineers that developed Tor is constantly upgrading it. Cracking Tor security is firing at a moving target and one that constantly changes shape and is quite resistant to damage. Tor is not perfect but it has proved very resistant to attack. A lot of people are trying to crack Tor, which is also used by criminals and Islamic terrorists was well as people trying to avoid government surveillance. This is a matter of life and death in many countries, including Russia. NEW HAVEN – Increasingly reliant on each other for sustainable economic growth, the United States and China have fallen into a classic codependency trap, bristling at changes in the rules of engagement. The symptoms of this insidious pathology were on clear display during Chinese President Xi Jinping’s recent visit to America. Little was accomplished, and the path ahead remains treacherous. Codependency between America and China was born in the late 1970s, when the US was in the grips of wrenching stagflation, and the Chinese economy was in shambles following the Cultural Revolution. Both countries needed new recipes for revival and growth, and turned to each other in a marriage of convenience. China provided cheap goods that enabled income-constrained American consumers to make ends meet, and the US provided the external demand that underpinned Deng Xiaoping’s export-led growth strategy. The American intelligence community is once again under scrutiny, this time for the perceived “politicization” of intelligence reporting by senior officials. Fourteen years after the 9/11 attacks called into question the ability of the U.S. intelligence community to identify and respond to the al-Qaeda threat, allegations have surfaced that senior Central Command (CENTCOM) officials altered intelligence reporting on the Islamic State in Iraq and the Levant (ISIL). Research has found that Quantitative Easing exacerbates inequality, and its efficacy has been challenged within the Federal Reserve itself. QE is difficult to defend, because—unlike the more traditional shifting of the Fed funds rate—it works through transmission mechanisms that are hard to explain. Worst of all, QE, a powerful tool when used properly, becomes less and less effective the more it is used. Central banks need to take notice of the chorus of creative—often conflicted—ideas for how they should execute monetary policy in wake of global QE. The recently elected Leader of Britain’s Labour Party, Jeremy Corbyn, has brought up the use of unconventional forms of QE. “People’s QE” is QE directed at infrastructure investment, and would have a less esoteric and more visible effect on the economy. The plan would create an infrastructure bank, and require the Bank of England to purchase debt issued by the newly formed bank. Instead of QE being ephemeral, it would now be a tangible policy for jump-starting an economy. Central bank intervention would become a more civic affair. Rand Paul: The Champion of American Leadership? Rand Paul needs my help. His foreign-policy views, though now somewhat muddled, are the correct ones for the nation and likely much more popular among Republicans than is Paul himself. Deep in the back of the pack, Rand Paul is in the low (very low) single digits in national polls for the nomination, just above the dropouts and those who soon will be such. His attempt to appear mainstream by advocating such tired bromides as “Peace through Strength” and “Fight to Win” convinces none of the neoconservatives that he is one of them. He needs edge. He needs to be as truth telling as are the “outsiders” in the race and a lot smarter than the establishment types whose calls for American leadership seem to be advocating repeating the failed policy of the George W. Bush administration. 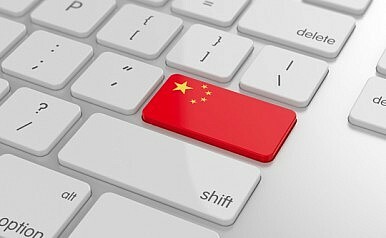 The United States has been focusing much of its cyber diplomacy around criticism of China’s espionage. This U.S. policy effort might be called the “Fort Meade defense,” after the site of NSA headquarters in Maryland. These criticisms peaked this month with U.S. threats to impose sanctions for civil sector commercial espionage committed by China using cyber assets. 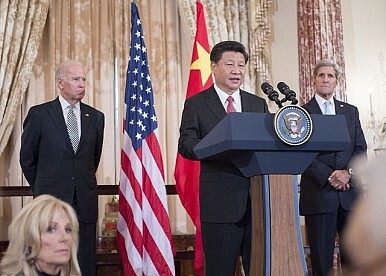 In his visit to the United States last week, President Xi Jinping of China brilliantly outmaneuvered the United States in the Fort Meade defense by declaring, with all of the diplomatic and international legal authority that a head of state wields, that his government did not collect “commercial intelligence.” After those comments, any conversation with Obama about stopping such practices was bound to be surreal and unproductive. Law enforcement officials across the United States have become enamored of the StingRay, an electronic surveillance device that can covertly track criminal suspects and is being used with little public disclosure and often under uncertain legal authority. Now, though, some states are pushing back, and are requiring the police to get a court order and local consent before turning to the high-tech tool. Washington, Utah and Virginia recently approved laws requiring court orders for the use of such cell-site simulators by state and local police officers. California lawmakers this month approved such legislation by a wide margin. The California law would also require police agencies to get City Council approval before employing the devices, and to disclose on an agency website that they use the technology. Similar bills have been introduced in Texas and in Congress. In Maryland, defense lawyers are re-examining thousands of cases to determine if the police have been deploying the technology legally. OPM failed harder than we thought. Wired (among many other outlets) has this story. Apparently, 5.6 million fingerprints of federal employees were among the data breached from OPM. It was originally thought it was just 1.1. million. If you are a federal employee, @Maliciouslink has alerted us to a portable device being issued by the government to solve this problem (this is a joke, please do not actually do this and then sue us). And if you aren’t worried enough, here are the nine scariest things China can do with all that OPM data. Oh, and only one person has been fired for this whole thing. At RealClearPolitics, Michael Auslin has an interesting take on what a cyberspace pact between the United States and China would mean, and it ain’t good. After that dose of government incompetence that may impact you for the rest of your life, do you need a drink? We do too. Check out our Molotov Cocktail blog for a few choices. Voices on both sides of the aisle want to give Israel the Massive Ordinance Penetrator and the means to deliver it, but this would be short-sighted and perhaps even illegal. In the aftermath of the Republican-controlled Congress’ failure to block the Iran nuclear deal, also known as the Joint Comprehensive Plan of Action (JCPOA), attention has begun to turn to implementation of the agreement and steps the administration and Congress can take to ensure scrupulous Iranian compliance, strengthen the global nonproliferation regime, reassure nervous regional allies, and counter Iran’s many destabilizing activities in the region. While numerous worthwhile suggestions have been put forward pursuant to these objectives, other proposals that have been put forward, including by Democratic supporters of the JCPOA on Capitol Hill, would severely complicate — if not threaten altogether — implementation of the agreement. The U.S. Navy is deterred from making a more robust argument for the utility of the aircraft carrier by charges of stoking inter-service rivalry and antagonizing China. This needs to stop. As it has been throughout its tenure as the center of Navy force structure, the aircraft carrier’s value and effectiveness are increasingly being challenged. The RAND Corporation released a study last week that (among other things) pointed to a mounting number of Chinese threats to the aircraft carrier and questioned continued U.S. emphasis on carriers in war planning. Criticisms of the value of the carrier in high-end warfare — the kind that would be waged against China (and the kind studied by RAND) — raise important questions about its utility and effectiveness. These are questions that the Navy has been slow to answer and ineffective where it has tried. The effect is that the rhetorical battlefield has been ceded to carrier critics, who make little attempt to contest the Navy on the ground (or seas) where the Navy prefers to fight. For example, pointing to 54 days of carrier airpower being the nation’s only available strike option against the Islamic State in the summer of 2014 has been the Navy’s recent stock-in-trade answer to those who denigrate the carrier. Yet critics rarely attack the carrier on its ability to respond to crises in the littorals against weaker opponents, as its utility for these sorts of operations is self-evident. Critics prefer to raise questions about the carrier’s effectiveness in conflict with China and its anti-access/area-denial capabilities. There exists a strong and logical argument for the carrier’s role in conflict with China that has not yet been made. Ground Combat Units' New Addition: Women?